Minimum quantity for "Zam-Buk" is 1. 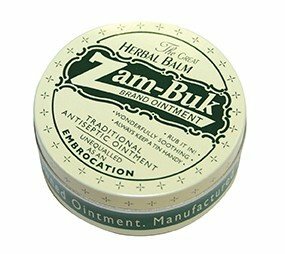 Maximum quantity for "Zam-Buk" is 100. 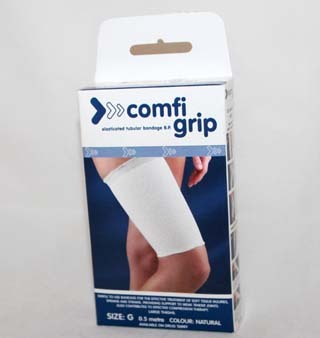 Minimum quantity for "Comfrigrip Elasticated Tubular Bandage (size B 0.5m) - B --12.5 -14.5cm" is 0. Maximum quantity for "Comfrigrip Elasticated Tubular Bandage (size B 0.5m) - B --12.5 -14.5cm" is 0. 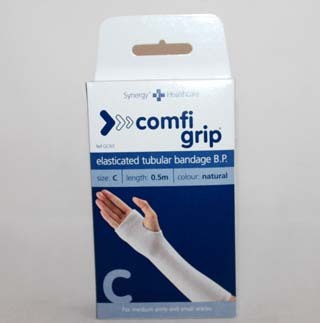 Minimum quantity for "Comfrigrip Elasticated Tubular Bandage (size C 0.5m) - C - 15 - 24cm" is 0. Maximum quantity for "Comfrigrip Elasticated Tubular Bandage (size C 0.5m) - C - 15 - 24cm" is 0. 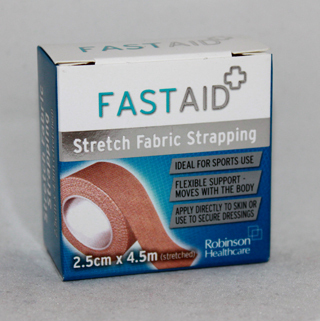 Minimum quantity for "Fastaid Stretch Fabric Strapping (2.5x1.5) - 2.5cm x 1.5m (stretched)" is 0. Maximum quantity for "Fastaid Stretch Fabric Strapping (2.5x1.5) - 2.5cm x 1.5m (stretched)" is 0. Use to immobilise or restrict movement.Apply directly to skin or use to secure dressings.Ideal for sports use.1.25cm x 5m. 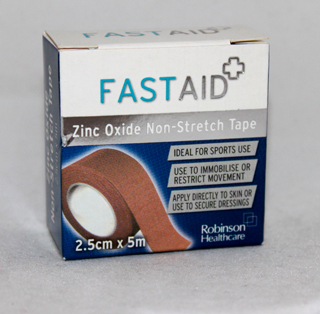 Minimum quantity for "Fastaid Zinc Oxide Non-Stretch Tape - 1.25cm x 5m" is 0. Maximum quantity for "Fastaid Zinc Oxide Non-Stretch Tape - 1.25cm x 5m" is 0. 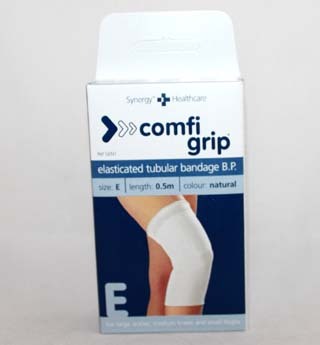 Minimum quantity for "Comfrigrip Elasticated Tubular Bandage (size E 0.5m) - E - 36 - 44.5cm" is 0. Maximum quantity for "Comfrigrip Elasticated Tubular Bandage (size E 0.5m) - E - 36 - 44.5cm" is 0. Minimum quantity for "Comfrigrip Elasticated Tubular Bandage (size G 0.5m) - G - 51 - 60cm" is 0. Maximum quantity for "Comfrigrip Elasticated Tubular Bandage (size G 0.5m) - G - 51 - 60cm" is 0. 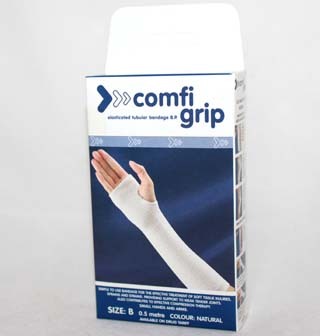 Minimum quantity for "Comfrigrip Elasticated Tubular Bandage (size G 1m) - G -36 - 46cm" is 0. Maximum quantity for "Comfrigrip Elasticated Tubular Bandage (size G 1m) - G -36 - 46cm" is 0. 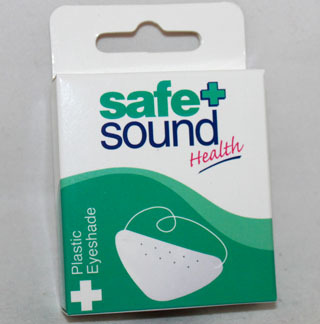 Use to immobilise or restrict movement.Apply directly to skin or use to secure dressings.Ideal for sports use.2.5cm x 5m. 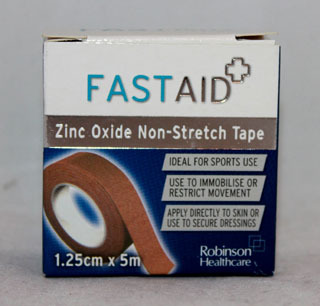 Minimum quantity for "Fastaid Zinc Oxide Non-Stretch Tape - 2.5cm x 5m" is 0. 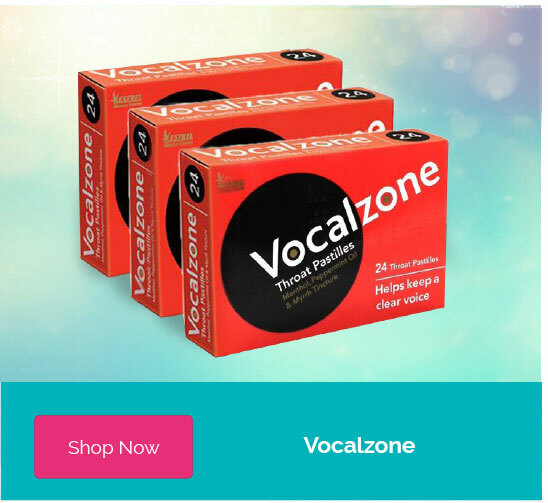 Maximum quantity for "Fastaid Zinc Oxide Non-Stretch Tape - 2.5cm x 5m" is 0. 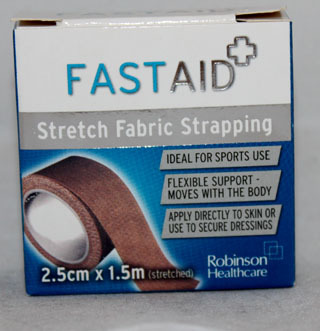 Minimum quantity for "Fastaid Stretch Fabric Strapping - 2.5cm x 4.5m (stretched)" is 0. Maximum quantity for "Fastaid Stretch Fabric Strapping - 2.5cm x 4.5m (stretched)" is 0. 10 Latex Examination GlovesNon- Sterile.Lightly powdered. 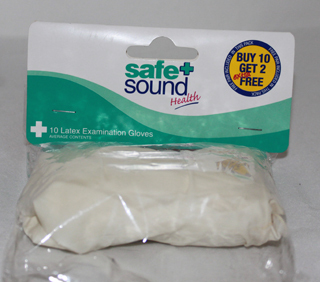 Minimum quantity for "Safe + Sound 10 Latex Examination Gloves - 10 gloves" is 0. Maximum quantity for "Safe + Sound 10 Latex Examination Gloves - 10 gloves" is 0.